When Martin Clunes first graced television screens as grumpy Doc Martin, who could have believed the grouchy, grumbling GP would have become such a popular character? Who could warm to a guy apparently suffering a form of Asperger’s syndrome, whose general attitude seems set to aggravate? The answer lies in the making of the fifth series, set in mythical Portwenn. However, it seems that the locale for the series might be the real star. Viewers the world over have fallen in love with the village of Port Isaac (the real town), nestled among cliffs on the North Cornwall coast. Since the show first aired in 2004, visitor numbers to Port Isaac have skyrocketed. Tourists come to check out the pub, the Doc’s surgery, the pharmacy, the school, the harbour, the shops, and the rolling hills that border the town. the 18th century fishing village. British interior designer Laurence Llewellyn-Bowen and his wife were quick off the mark, establishing a shop in the town, and ringing of their cash register almost drowned out the sound of the seagulls. Another (more commercial) star of the television series is the Lexus LS400, in which Doc Martin terrorises the countryside and frightens the horses. Lexus says it has been a very successful partnership, and so we thought it might be nice to cruise down to North Cornwall in the latest Lexus model, the new petrol-hybrid CT 200H. Smaller than Doc Martin’s long wheelbase luxury car, this new Lexus is a compact five door hatchback, and adds a third hybrid model to the Lexus lineup. On North Cornwall’s compact country lanes the smaller hatchback also probably makes much more sense as a doctor’s conveyance. We picked up the test car at London’s Heathrow, and joined the M4 motorway to head towards the southwest. It’s a pretty easy drive, joining the M5 south near Bristol. You leave the motorway at Exeter, and then it’s well-surfaced A roads all the way to Port Isaac. Whilst the motorways make for fast travel, the Lexus does not return very good fuel economy at a sustained 70mph (Britain’s national motorway speed limit). After just over four and half hours we refueled in the village of Camelford, which revealed surprisingly high fuel consumption figures of 11.5 l/100km for the 250km journey! The trip from Heathrow also revealed the CT200H might be a comfortable car for motorway cruising, but narrow country lanes showed up its stodgy steering, and quite a bit of pitching in tight corners. After a week of highways, lanes and B roads it’s highly likely this is a car which Jeremy Clarkson would not be raving about. Having said that, there’s a lot to like about the car. Most important to me, the excellent sound system makes the most of high fidelity from an iPod, and music sampled at a high bit rate. Lexus introduced the CT200H to the Australian market at the Albert Park Grand Prix circuit in the Celebrity Race. After the silently-whirring petrol-electric hybrids had completed their laps of the race track, Lexus sales people sat back in their showrooms and waited for the orders to come in. Not so fast! Australian car buyers are shunning ‘green’ cars and it’s highly unlikely a pricey hybrid will make any sort of impact on this ‘no-love’ affair. However, the cheapest Lexus does have some genuine appeal for environmentally-conscious luxury car buyers. The primary feature set is what will sell this car. It’s quiet, with a great ride, nice seats, smooth to drive, finished like a Lexus, and good value. The price leader is modestly-equipped (how else could you price it at $39,990), so you’ll need to spend around $9,000 to get the full range of luxury features you might expect in a proper luxury car. On the road it’s willing, but the boot is pretty limiting - we struggled to get two 62cm rollaway suitcases stowed under the removable rear shelf. However, taking a long trip in a Lexus CT200H will be a pleasure, because of low wind noise, good ride and confidence-boosting grip. It's also great for a Pommy pub crawl! 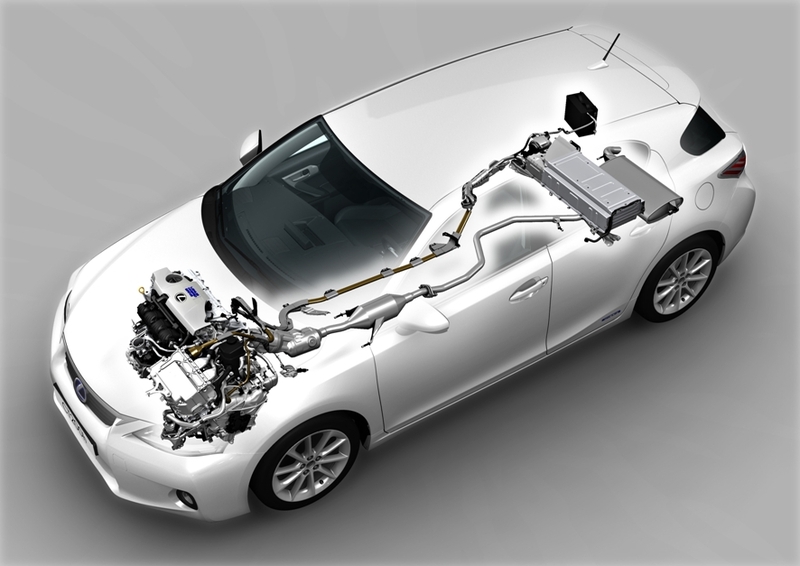 The petrol-electric hybrid powertrain is identical to Prius, in fact the whole platform is pinched from Toyota’s first hybrid, and it delivers no surprises. Fuel economy is claimed to be 4L/100km, but as our drive down Britain’s Motorways suggests, the Lexus doesn’t have a wind-cheating shape, and driven hard (above 110km/h most of the way), it can’t deliver decent fuel efficiency at high speed. 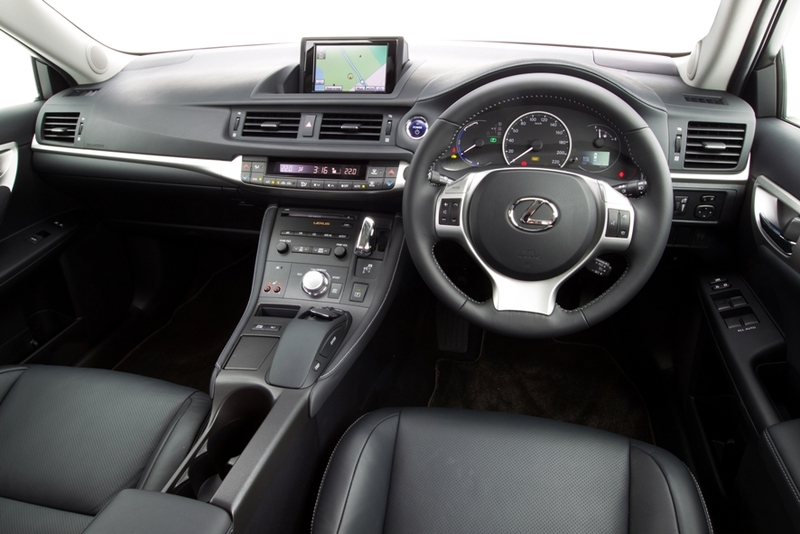 There are four, adjustable, driving modes. You could easily use the EV mode around town, but our suggestion would be to stay away from Sport mode and go for Normal. In Eco mode the air conditioning didn’t seem to be able to keep up with the demands from an Aussie summer. Conversely, a British summer didn’t worry us at all in Eco mode. Lexus says this model is a vital element of its policy to widen the appeal of its luxury range in Australia, but this car is also incredibly important in the UK and Europe too - where Lexus has, to date, made little or no impact on sophisticated buyers. However, the beautiful village of Port Isaac made a big impact on me, and I will return one day.